The Walking Dead Season 6 spoilers promise an escalation in action, conflict, tension and of course death! Season 5 of The Walking Dead came to a wrap this Sunday, leaving behind a Walking Dead-sized hole in all our hearts. Sure, nobody major died [that we know of[, and Morgan [Lennie Jones] made a triumphant return to the show. However, we also have to wait another half a year for the show to return, with only minor spoilers to keep us company until the return date. 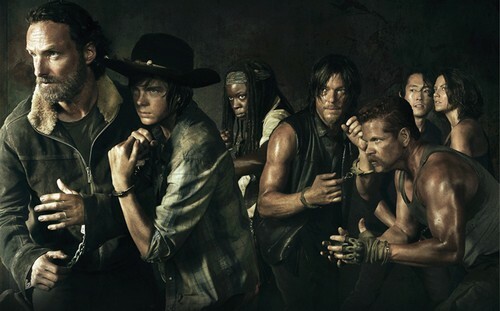 The Walking Dead will now shift its focus to the villainous group known as The Saviors, and of course, the Wolves that this finale touched upon. That means that whether we like it or not, Negan is coming. So even though Season 5 didn’t end with any major character deaths, don’t expect that trend to continue once Negan and The Saviors finally make their appearance. Right now, Season 6 of The Walking Dead isn’t expected to premiere until October of 2015. What do you guys think about The Walking Dead spoilers for Season 6? Let us know your thoughts in the comments below.